Spotty Dress, H&M (not on website though). Boots, Topshop. I got this spotty dress from H&M at the weekend. 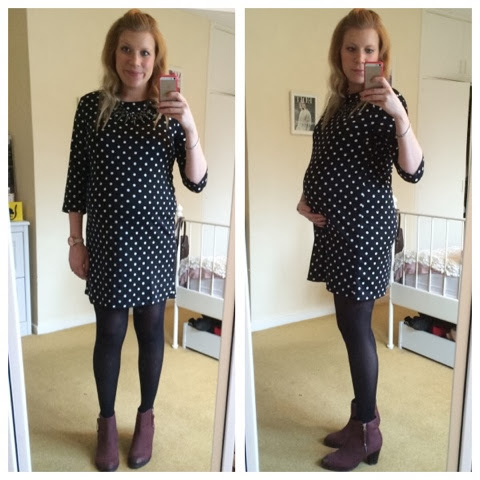 It's not a maternity dress and I think it was £14.99 - bargain! It's a thicker jersey material and feels like really good quality material for the price.